Allscripts CEO Paul Black urges David Shulkin to present data in a single view that will allow the agency’s healthcare providers to see actionable insights to ensure the best care for veterans. The U.S. Department of Veterans Affairs is heading in the right direction by replacing its legacy EHR with Cerner, but the agency will need to fast-track the power of its new EHR and improve interoperability among other care providers, Allscripts CEO Paul Black wrote in a letter. 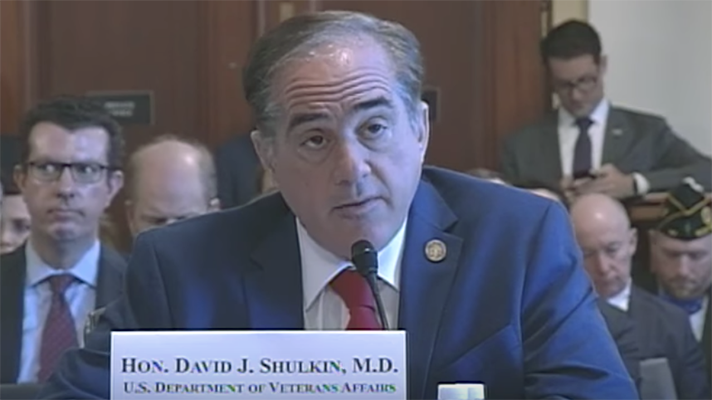 VA Secretary David Shulkin, MD, made the decision in June to replace its outdated system with Cerner, which powers the Department of Defense’s EHR. His reason for choosing Cerner was the desperate need to modernize VA’s system, and the agency will be able to lean on lessons learned from DoD’s massive Cerner EHR install. Black recommended the VA prioritize three capabilities to ensure veterans receive care “that it is just as effective as the care our civilian population receives.” That includes: combine and share data in a meaningful way, discover and manage care for at-risk veterans and enable two-way digital engagement. Specifically, the VA needs an interoperability tool that will aggregate and harmonize data -- not only from the VA and DoD -- but private providers, especially as the VA’s CHOICE Program has been extended. In fact, a predicted one-third of veterans will receive care from the private providers in the coming years. To Black, it’s these types of tools that will completely modernize the system, and prepare the VA to incorporate precision medicine and mental health data into the EHR at the point-of-care. Further, the agency will need to provide veterans with a “bidirectional, EHR-agnostic digital access point to their data,” which will include scheduling features, preventative engagement functionality and telehealth. This data can flow back to the EHR and automatically update the patient’s record. “Its new EHR will be an important first step, but the capabilities that will magnify the power of that new EHR should also be fast-tracked, in parallel to the EHR, to all caring for our nation’s Veterans on existing platforms,” he added.